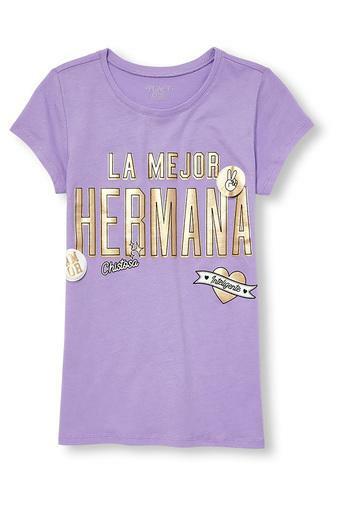 Add this chic tee from The Children Place to your little one's casual wear collection to elevate her unique style. 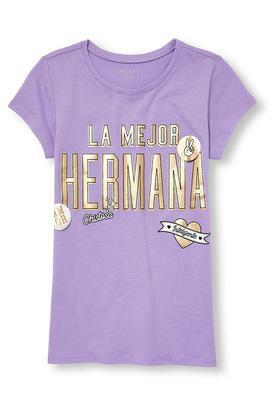 Beautifully crafted from good quality fabric with a graphic print, this round neck short sleeves tee is attractive. 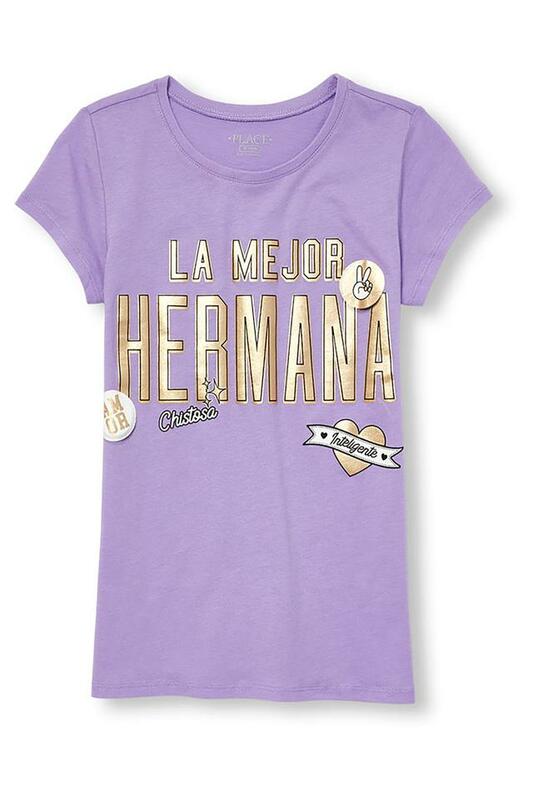 Give the wardrobe of your little daughter a stylish overhaul with this tee. Let her club it with a pair of shorts and ballerinas to look complete for any casual occasion.